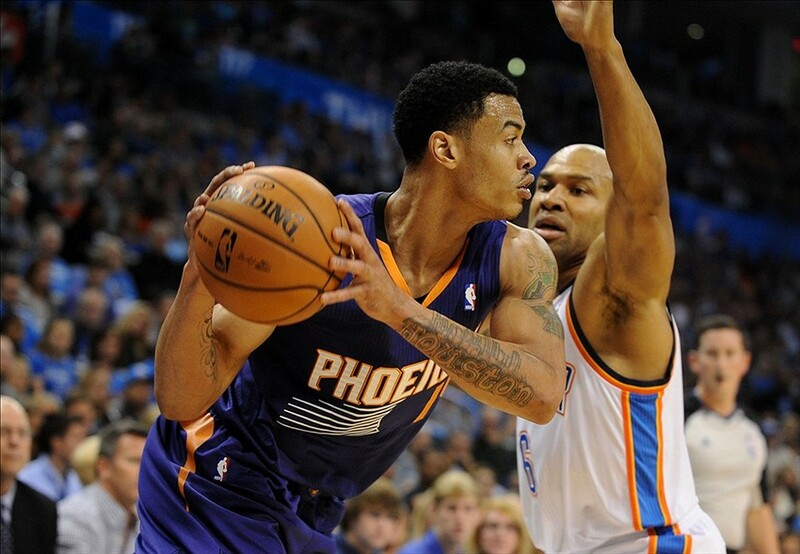 The Sneaky Fantasy Basketball Pickup for Sunday, November 3 is Gerald Green. He is owned in just 3% of Yahoo! leagues right now, but he may be in line for a temporary boost. His value right now is based solely on the status of Goran Dragic, who left tonight’s game after aggravating an ankle he had sprained during the preseason. 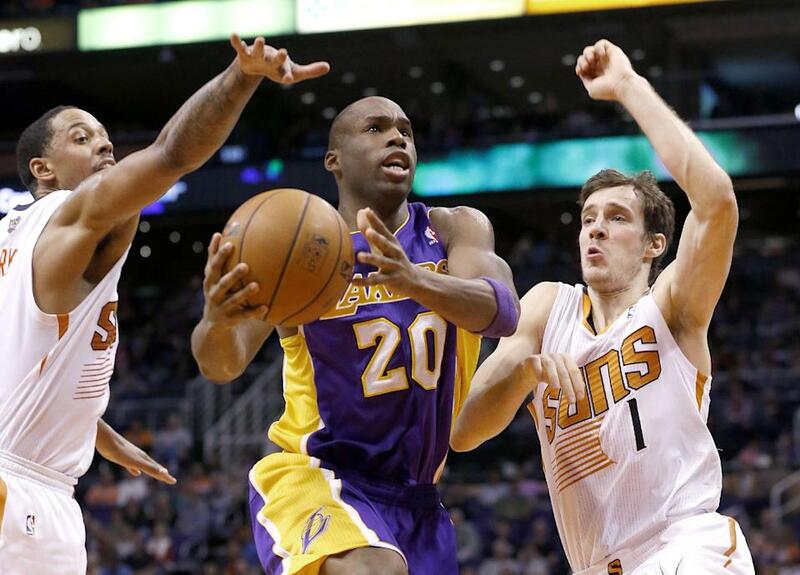 Until tonight, Green received only minimal playing time backing up Dragic and Eric Bledsoe. With Dragic missing an entire half, however, Green went off and dropped five 3-pointers on his way to 21 points while shooting efficiently and adding nice peripheral stats. Though it’s still too early for a diagnosis, Dragic’s sprain seems severe, and it wouldn’t be surprising if he missed this entire upcoming week. Green had decent value when he got extended playing time during his 2012 season with the woeful New Jersey Nets, and he’d have an even bigger role on this Suns team that is sadly even worse. Is he legit? No. Green actually did receive significant playing time for half a month at the beginning of last season with the Pacers and did virtually nothing with it. However, he’s already playing better this year. If Green moves into the starting line-up next to Bledsoe, this will be the biggest role he’s been given yet, and he’s got the multi-category potential to make an impact for your fantasy team. Other Notable players: Overall, the Suns rotation is maddening. P.J. Tucker was given yet another heavy dose of minutes but disappointed, Miles Plumlee contributed almost nothing, and Channing Frye had his best game of the year. 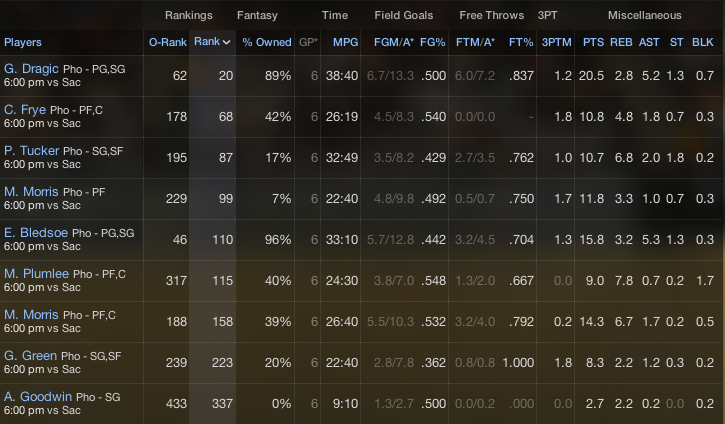 I’m still low on Tucker and high on Plumlee, but I’m keeping an eye on Frye. He could once again be a great source of blocks and 3’s if he finds a consistent role…Andrew Nicholson had his best game of the year, and he’s seeing an uptick in minutes…I’d trust Martell Webster a lot more than Trevor Ariza with the numbers of minutes and shots that Ariza is getting, but Ariza’s the one getting them right now…Although he put up kind of a hollow line tonight, Xavier Henry has finally replaced chuck-it-up all-star Nick Young in the starting line-up…Brandon Bass did not have a good game, but he came into tonight averaging more than 17 & 5 with excellent percentages and PF/C-eligibility and is only owned in 34% of leagues. In fact, he’s the reason I added the new section below. Top Five Sneaky Pickups: This section will be a running list of the top players owned in under 40% of Yahoo! Leagues, so you have an ongoing idea of who should be picked up if they’re available in your league and I don’t need to keep mentioning them above. Obviously, you should pick and choose from this list based on your team’s specific position and stat needs, but I will add a note if there’s a player so spectacularly above the others that he should be picked up no matter what your needs are. My one caveat is that, if your team has no needs but does have room for an additional player, you should pick up Danilo Gallinari (36%). If he were closer to playing, he’d be no. 1 on this list (though probably also way above 40% owned) no matter what. Since he’s at least a month away, he doesn’t make the list. Accountability: As Xavier Henry’s stock rises, Jordan Farmar’s seems to be slipping. After a promising first two games, Farmar hasn’t seen more than 19 minutes in his latest two. Steve Nash isn’t getting as much run as fantasy owners who drafted him would hope, but he is getting enough, combined with Steve Blake’s heavy workload, to push Farmar off fantasy radars. 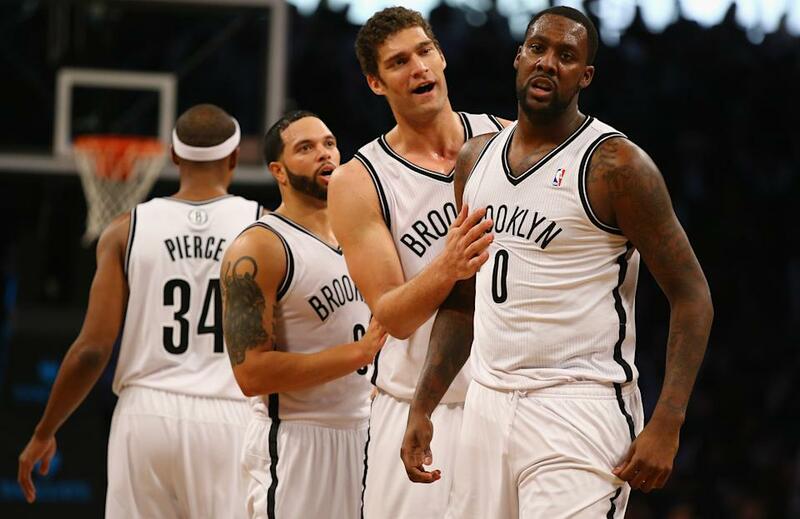 The Sneaky Fantasy Basketball Pickup for Wednesday, October 30, 2013 is Miles Plumlee. He was owned in 10% of Yahoo! leagues when I started writing this, and now his ownership is at 23%! He might well become ineligible to count as a “sneaky” pick by tomorrow, so I’m posting this tonight. 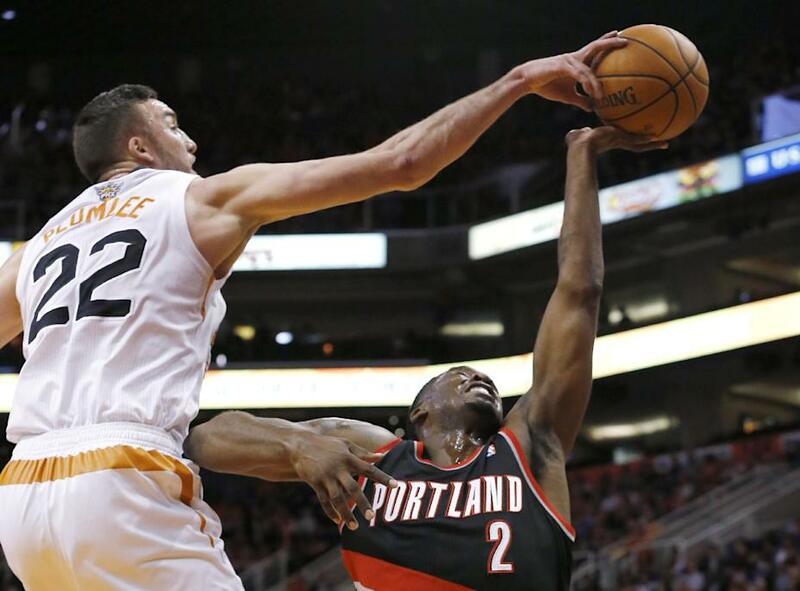 So out of all the great performances tonight, why does Miles Plumlee take the prize? Opportunity. As Cody Ulm superbly wrote for SB Nation, Plumlee was the biggest winner from the Marcin Gortat trade. Channing Frye hasn’t played NBA basketball in 16 months after suffering a heart ailment, Alex Len is still recovering from double ankle surgery, and no one knows when Emeka Okafor will be back on the court. Plumlee has the athleticism and the skills, and now he’s finally getting the minutes, too, as the Phoenix Suns’ starting center. Coming over from Indiana in the Luis Scola trade, he put up yeoman numbers in the preseason as the Suns’ coaching staff fiddled with him in the starting line-up. 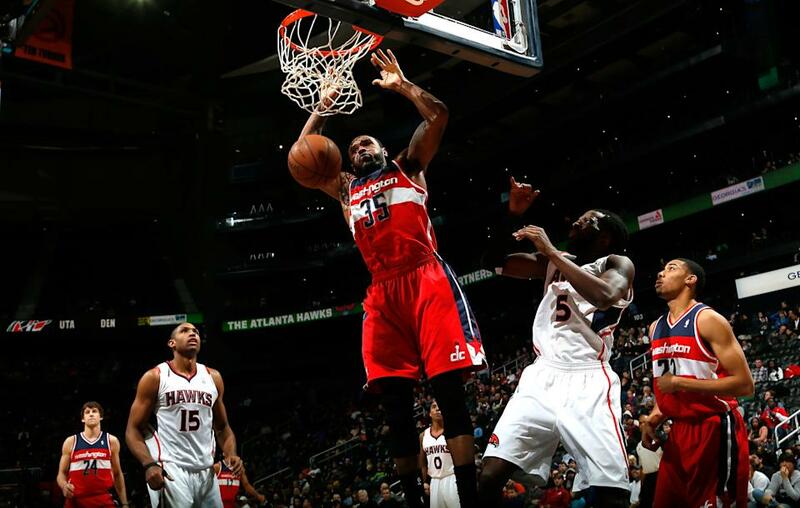 Now with Gortat out of town, he’s the incumbent. It’s hard to predict his ceiling, as he never even averaged over 21 mpg at Duke, and he nearly hit 40 min tonight. The three blocks are likely a rare treat, but this is a guy who’s going to get you points and rebounds without hurting you in percentages. How legit is he? Legit. There is nobody else on this roster I see taking minutes away from Plumlee aside from Len and Okafor. I see the Morris twins and Frye cutting into P.J. Tucker’s minutes before they do Plumlee’s. Okafor may be the better defensive player, but it’s not like the Suns will rush him back for some postseason run. Though at some point, the Suns will be so terrible that they’re going to want to see what they have in Len, I don’t envision that until after the All-Star break. Plumlee is a lock, and now he’s at 25% owned! Stop reading, and go pick him up! Other Notables: Josh McRoberts gets the silver medal. Like Plumlee, he’s an athletic journeyman who’s won the starting job from a hyped rookie big man, in this case Cody Zeller. Zeller just seems to be a bigger threat here than Len does to Plumlee…Utah is going to be a very interesting team for fantasy this year as all sorts of unproven players get huge minutes, and Alec Burks could easily be Sixth Man of the Year if he doesn’t move into the starting line-up outright…Tim Duncan left the game tonight with a chest contusion, which means Boris Diaw could be in line for serious minutes…Trevor Ariza posted a monster line, but I don’t buy it. He’s 40% from the field in the past four years, he’s competing with Martell Webster and Al Harrington for minutes, and I don’t trust he’ll always get his shots while sharing the ball with John Wall and Bradley Beal…Apparently Larry Sanders hasn’t gotten over his foul problems, and Zaza Pachulia will stand to benefit on nights he’s limited…Speaking of Milwaukee, Gary Neal seems to be the winner if Brandon Knight’s hamstring injury is serious…And Will Bynum is the winner in Detroit while Rodney Stuckey and Brandon Jennings are out…Here are three veterans who should just be owned in more leagues: Vince Carter, Corey Brewer, Caron Butler…Andrew Nicholson: another solid line, another game under 20 min…I’ve seen Francisco Garcia put up hollow stat lines like tonight’s his entire career. The Houston bench guy you want is Omri Casspi, and you don’t actually want him that much. 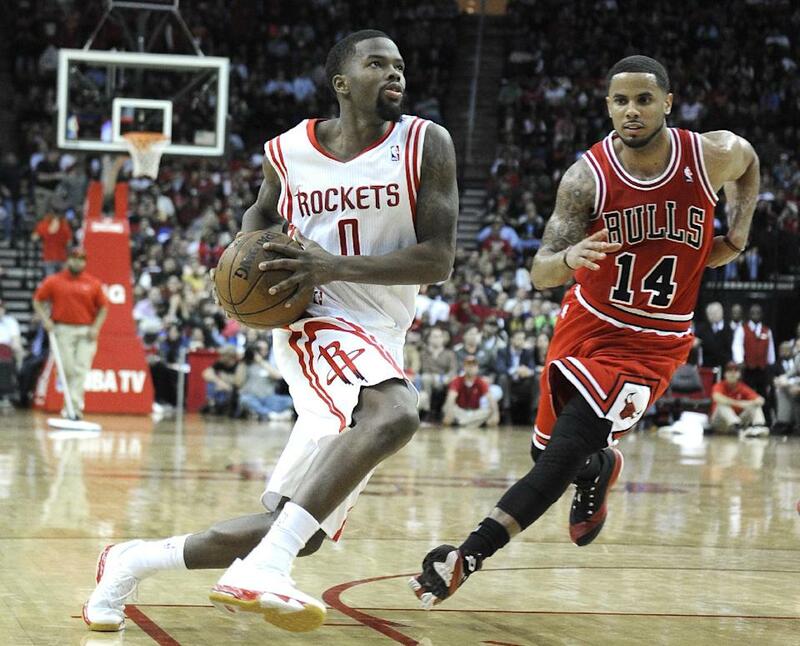 Oh, and so much for Patrick Beverley taking over that PG job. Accountability: Well, the Lakers certainly seem committed to giving Xavier Henry all the opportunities he could want to succeed, as he got 35 min while Wes Johnson, Jodie Meeks, and Nick Young all got under 25 in tonight’s historic beatdown by the Warriors. Henry’s final line didn’t look atrocious, but it really was before a full fourth quarter of garbage time. As was Jordan Farmar’s. Still, as long as Henry is playing 35 min, he’s rosterable.